Michael Schenker took over from Ritchie Blackmore as my guitar hero not long after 'MSG' was released and he still is and always will be. 1981 was a pivotal year for me – I discovered Rock music in a biiiigggggg way! Rainbow, Def Leppard, Van Halen, Iron Maiden, Whitesnake and many more great bands. I used to religiously listen to the Radio One album chart every Thursday evening as I would get to hear a track from a new album and this aided my discovery of new music. 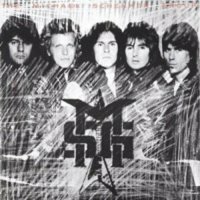 I can picture the particular evening when I first heard Michael Schenker's guitar playing – it was a lovely mid-September's evening and his second album under the MSG moniker debuted at #14. As soon as I heard the opening bars of 'Ready To Rock' I was hooked! I started buying 'Kerrang!' from issue one – for several years it was an enjoyable and interesting read. Issue #4 had an article about Schenker and his days in UFO and Scorpions, it was a good insight, however, didn't mean much to me as I hadn't heard anything by either of those bands at the time. There was a debate in the magazine as to whether the German was a better guitarist than Paul Chapman who replaced him in UFO. It didn't take me long to find out who I preferred (no disrespect Tonka)! So back to 'Ready To Rock', a powerful, straight-ahead Rocker and the opening track on the album, one featuring a cracking solo by the blonde bomber. I rushed down to my local HMV in Manchester the very next day and bought the cassette version of the album (it was another thirteen months before I was to get my first proper stereo system). 'Attack Of The Mad Axeman' a play on words in reference to Schenker, I later found out, is another fine tune. Ex-Rainbow skinsman Cozy Powell beats the crap out of his drums and Schenker lays down a blistering solo. Two tracks in and I couldn't believe what I was hearing... I was in heaven. 'On And On' opens slowly with some nice keyboards from Paul Raymond who, as I quickly learned, had worked with Schenker in UFO. It doesn't take long for the song to get going. Vocalist Gary Barden has a decent voice, not the most powerful, but thirty-six years later I can't imagine anybody else singing these songs. Schenker adds two more solos which are to die for. Bassist Chris Glen (ex-Sensational Alex Harvey Band) lays down the intro for 'Let Sleeping Dogs Lie' a mid-paced Rocker co-written by all five band members and Schenker riffs away and treats us to another sublime solo (or two). 'I Want More' again has a Raymond keyboard intro and Schenker gently plays over it, before the band kick in and Schenker treats us to some fine licks and another superb solo. Powell's drumming is so powerful and the solo that ends the song is phenomenal. The Raymond-penned 'Never Trust A Stranger' is the slower number on the album – the ballad, so to speak. Raymond's piano playing and Glen's bass are prominent in parts and again Schenker shows us how emotional his solos can be. 'Looking For Love' is a full in-your-face Rock tune and is often criminally overlooked, which is mystifying as it contains two of the most consummate solos that Schenker has ever recorded – air guitar heaven! 'Secondary Motion' brings the album to a premature close and again starts off slowly before a meaty Schenker riff kick-starts the song. The mad axeman adds licks all over the show and the main solo makes the hairs on the back of my neck stand up even to this day! Clocking in at just under thirty-seven minutes, I can't believe how quickly the album ends and I rarely only play it once, quite often it is on repeat. Michael Schenker took over from Ritchie Blackmore as my guitar hero not long after 'MSG' was released and he still is and always will be. A lot of Schenker aficionados will cite his 1980 MSG debut as his strongest (I bought it the following week) and yes, it is a fine album, as are the five UFO albums that he recorded in the seventies, however, nothing gets close to the affinity that I have for the 'MSG' album. It holds special memories for me and I still own "that" cassette, as well as the LP with the embossed cover and several different versions of the CD – obsessed, who me? !